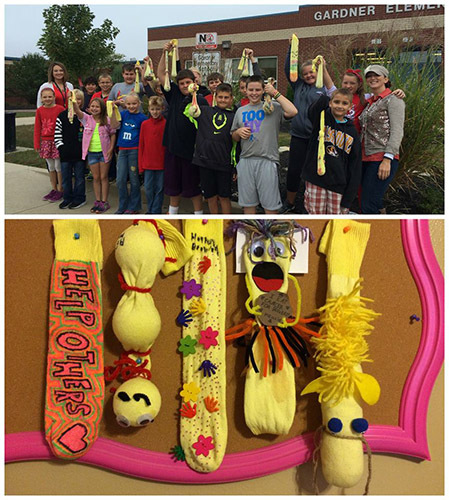 SOCK IT TO CHILDHOOD CANCER! 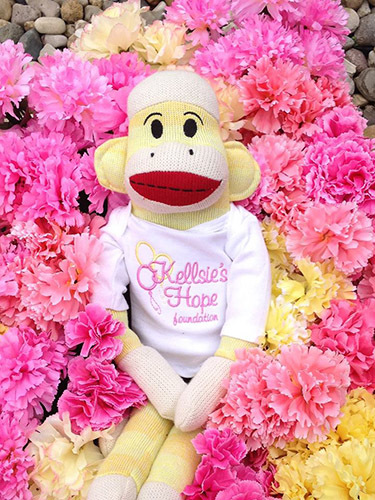 The Kellsie’s Hope Sock It To Childhood Cancer campaign supports Kellsie’s mission to increase childhood cancer awareness and find a cure for childhood cancer. 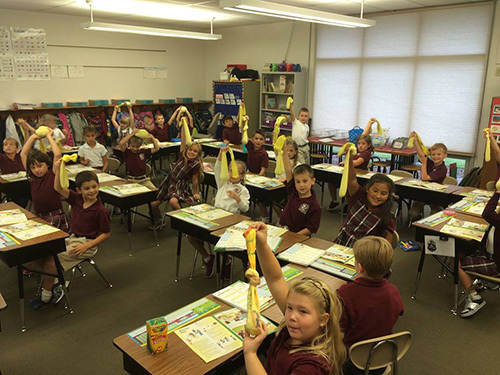 Yellow socks are provided to school children to collect spare change for a month. The kids can decorate their socks any way they like. 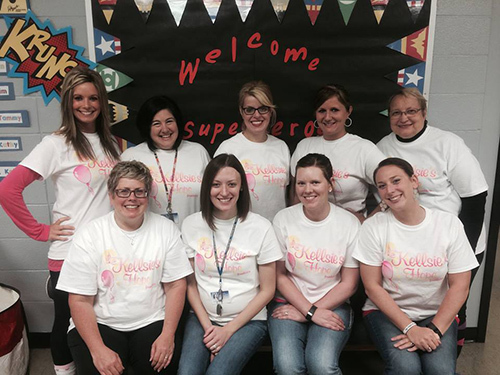 Meanwhile, they also learn about childhood cancer. 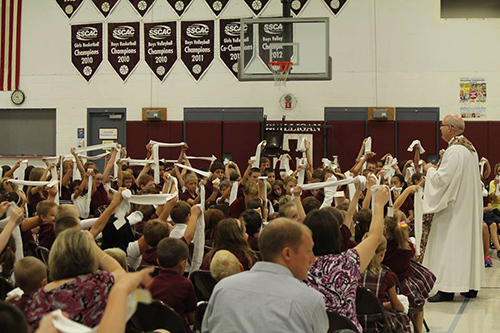 At the end of the month, the socks are collected and prizes awarded to the class that collects the most and the students with the best decorated socks. All of the money collected is donated to help fund pediatric cancer research. 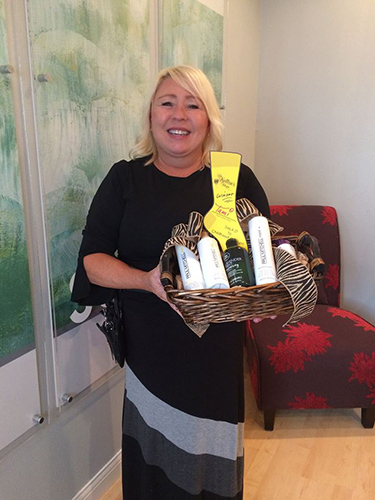 This year the program was extended to include businesses who collected donations to help support childhood cancer research. 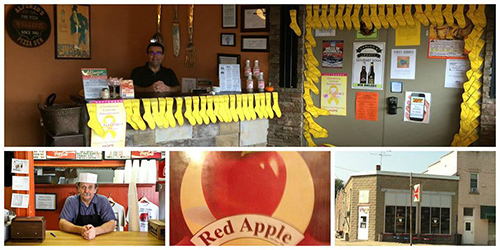 With each donation, the patron was provided with a cardboard sock to write their name on for display at the business. 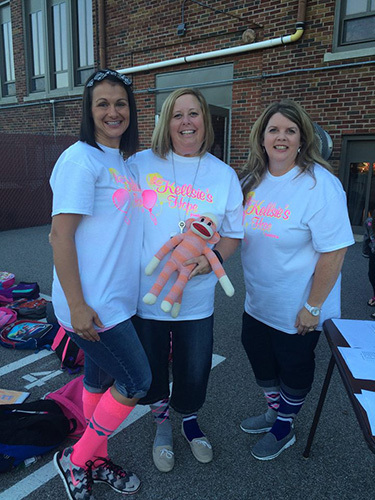 Crazy sock days were also hosted by local schools and businesses with donations provided to Kellsie’s Hope. 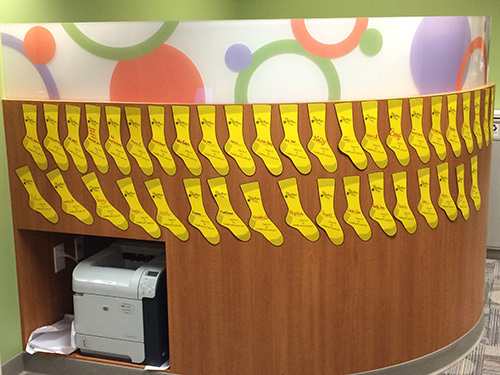 Every cent collected during the Sock It To Childhood Cancer campaign goes toward childhood cancer research. 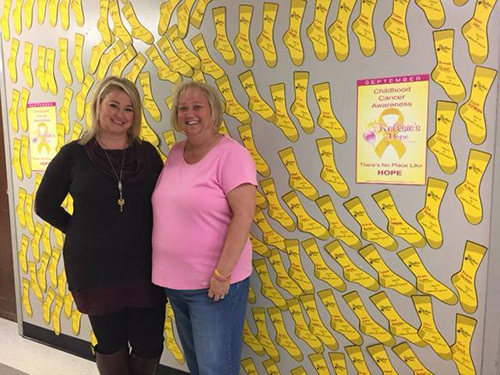 In conjunction with the States of Hope campaign, the Kellsie’s Hope Foundation has donated $391,000 to pediatric cancer research. 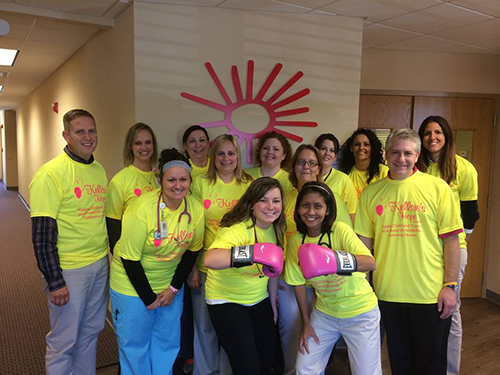 Please join us in the fight against childhood cancer! You can be part of Kellsie’s mission by hosting your own Sock It To Childhood Cancer campaign. 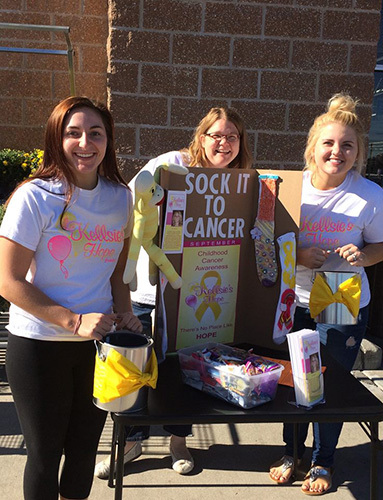 Schools, businesses, and individuals can register with the Kellsie’s Hope Foundation and help Sock It To Cancer! Getting started is easy. 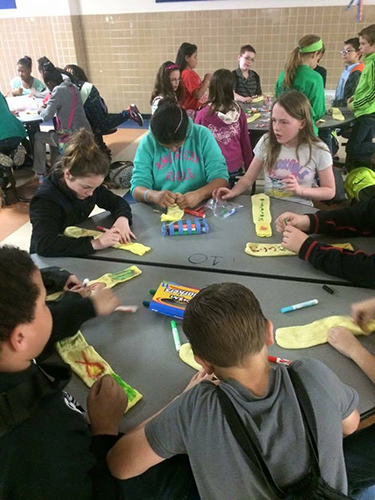 Choose your event (colored socks, cut out socks, crazy sock day), location, date and time, and register your Sock it Childhood Cancer event. To help ensure the success of your event, we would be happy to mail you a starting kit. Please contact our foundation director, Gail Marchbanks, with any questions or follow the easy steps to get started.